For the Little Sisters of the Poor the feast of St. Joseph (March 19) is huge. 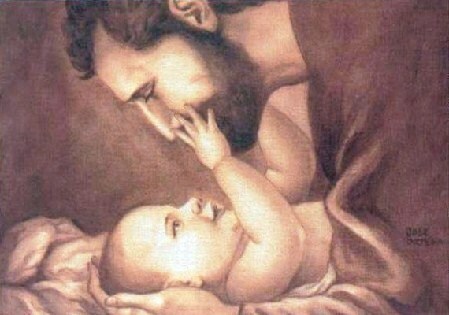 They rely on St. Joseph as their protector and provider. 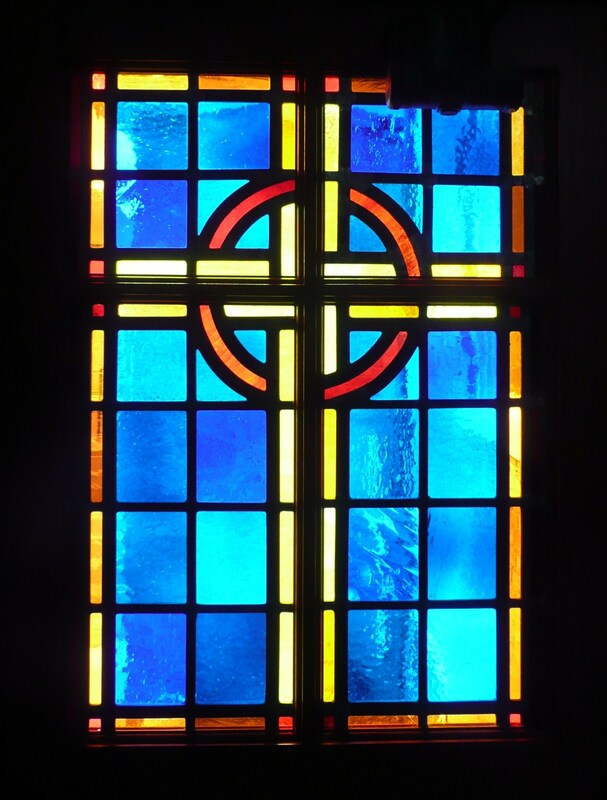 Many of us say that God provides, and some of us even preach about Divine Providence. But the Little Sisters of the Poor believe it! You might know that the Little Sisters do not receive any direct funding from our archdiocese. 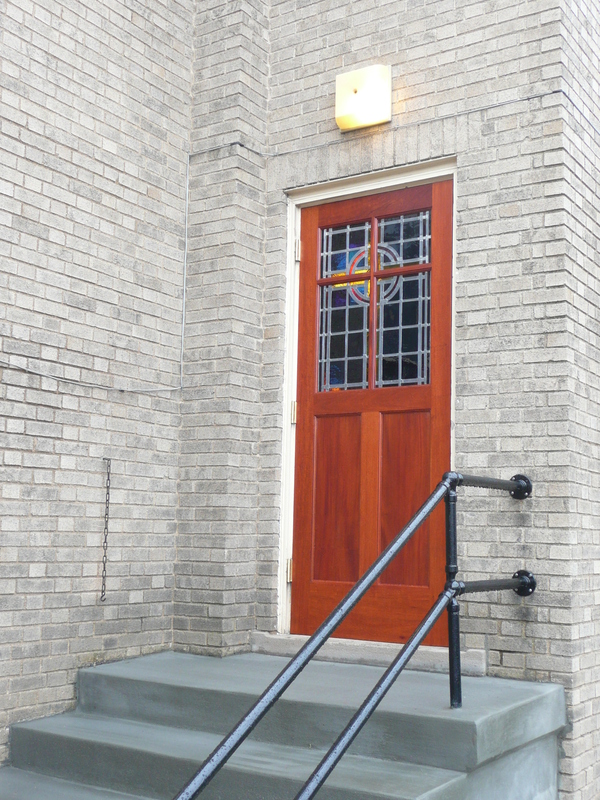 Did you know that the Little Sisters of the Poor do not have any endowments? They are not permitted to have endowments. 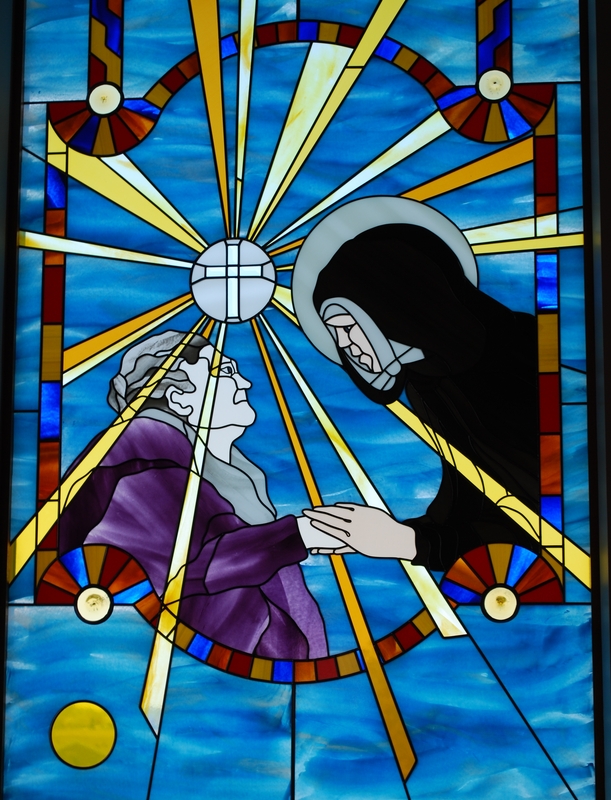 It is not the government or the Church that forbids them; it is by the intention of their foundress, Jeanne Jugan. Mother would insist that having large sums of money stored away and living on the interest would not be trusting that God will provide. So, the Sisters beg, every day for every need of the aging residents of their home. On the feast of St. Joseph the Little Sisters of the Poor delight in telling stories of how their protector and provider has come through for them, sometimes at the last minute but always on time. 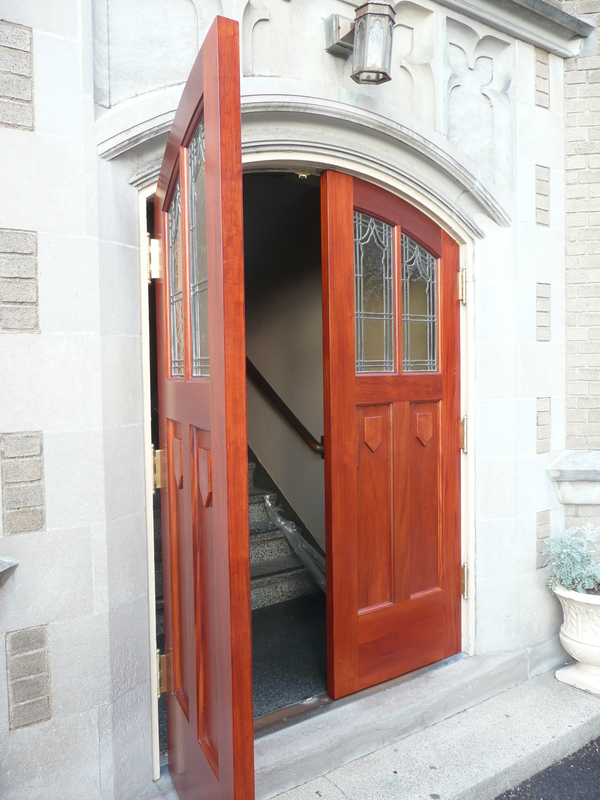 On this day, March 15, new Honduras mahogany doors were installed at the corners of St. Andrew. 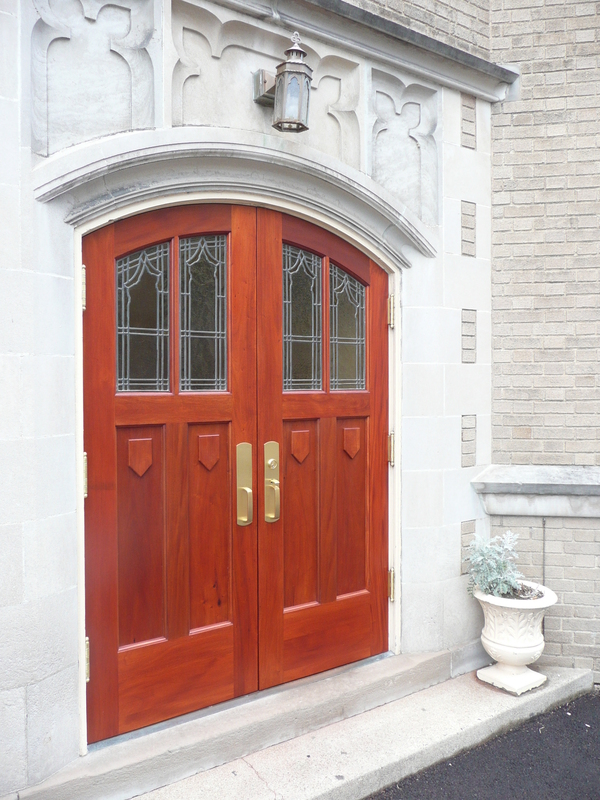 They match the main doors. 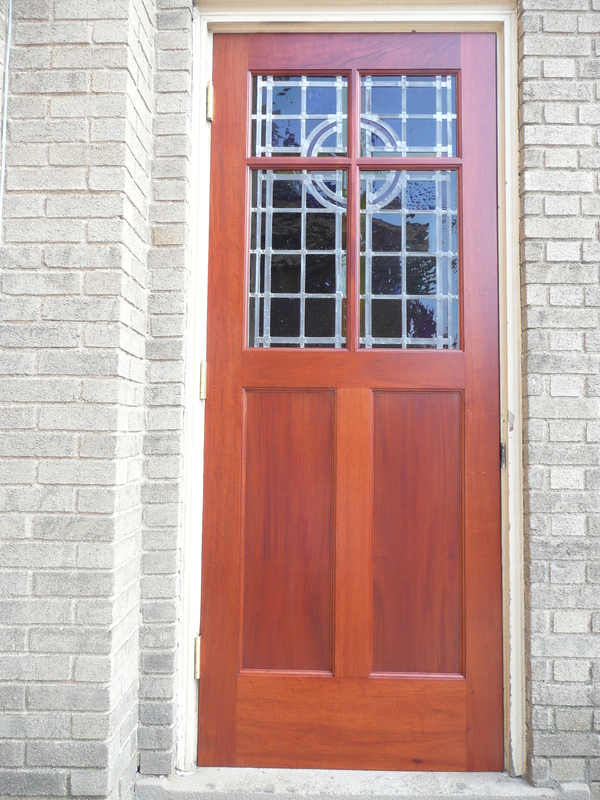 The doors and the hardware are new. 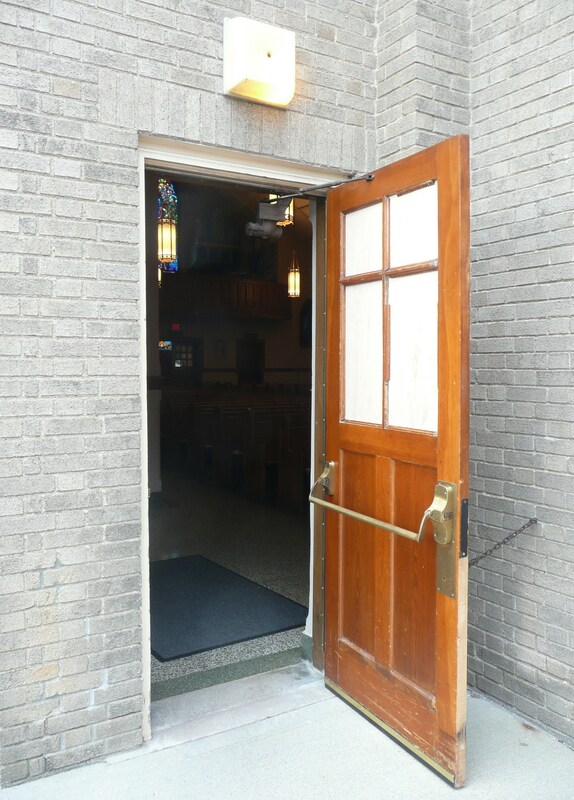 The windows – you guessed it – were taken out of the old doors, refurbished, and built into these new doors. They are glorious. Come see them. 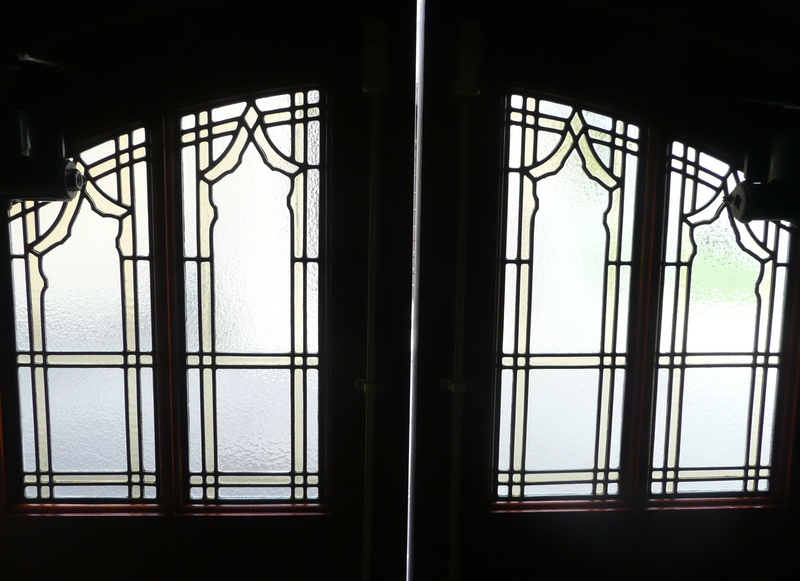 These doors, too, open wide at the very thought of your coming! 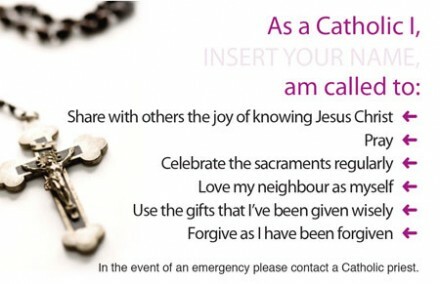 The Bishops’ Conference of England and Wales is distributing one million cards (pictured above) in order to cultivate evangelization among Catholics. They are “credit card” size, and are intended to be carried in purse or in pocket. When the person carrying it sees the card, it is a reminder. In the event of an emergency, when someone else sees it, it is a request. 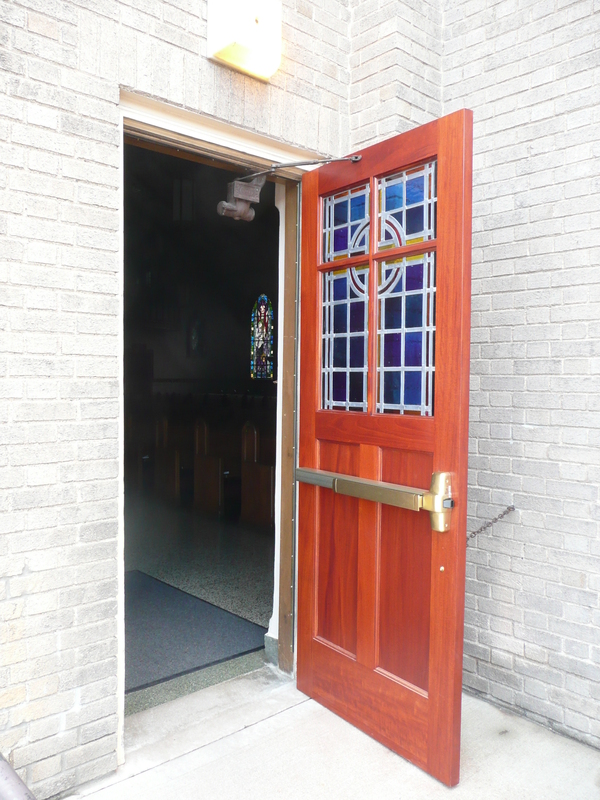 The pastor of St. Andrew, Milford (yours truly) has it in his mind that all parishioners at St. Andrew will eventually get something similar. It is one of those good ideas that gets tucked away to be used at a later time, when the time seems right – and ripe. 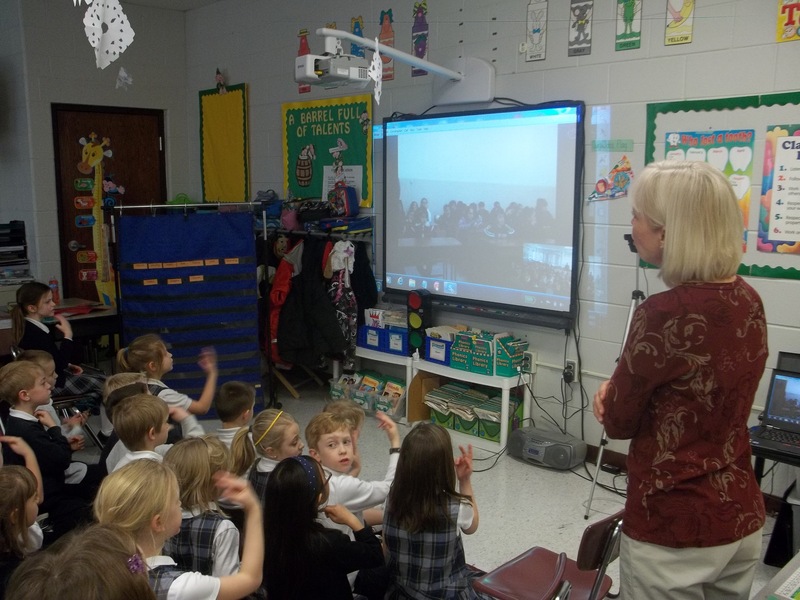 As they waited for the Skype connection with the 1st grade students of Miss Ruya from the Latin Patriarchate School of St. Joseph in Nablus (West Bank, Palestine), Mrs. Phillips explained to her students that the children that they were going to meet were 6,000 miles away, and lived near Bethlehem. 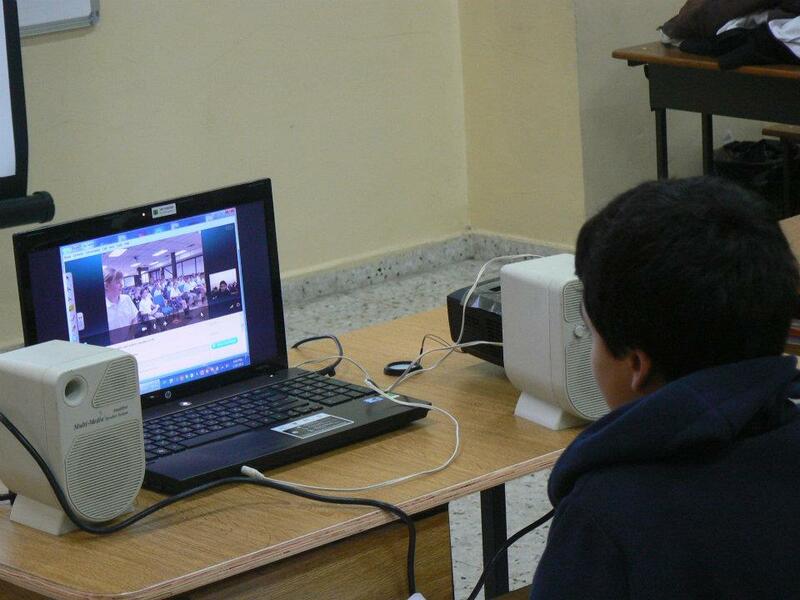 The parents in Palestine had brought their children back to school a couple hours after school was out in order to Skype with our children from America. The Palestinian children had a song ready – “Twinkle, twinkle, little star.” Our children clapped with joy, probably because they recognized the song. They probably didn’t realize how extraordinary it was that 6-7 years olds, whose first langauge is Arabic, were singing in English. Later, the same children would sing a song in Arabic, which Miss Ruya explained was about how they loved their country very much. 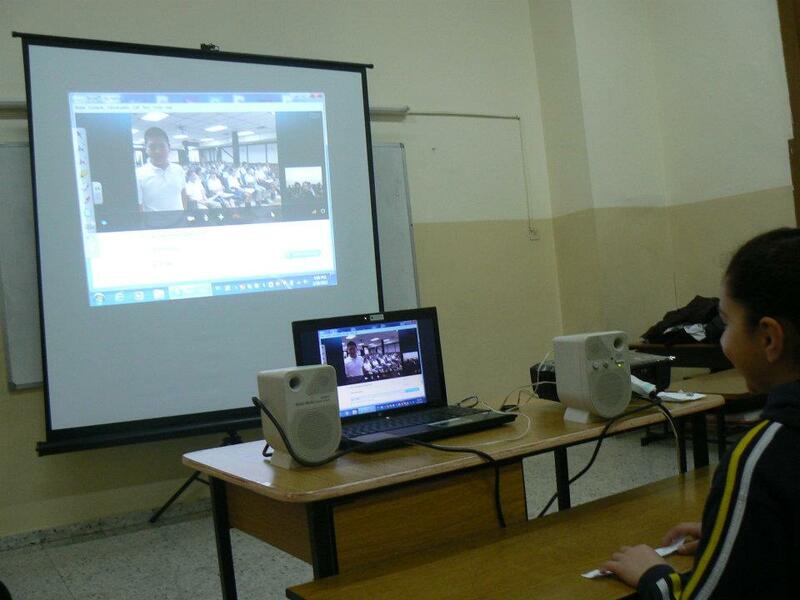 The teachers on both sides of the world tried to put some order into the energy and the enthusiasm of their students. Sometimes they were even successful. 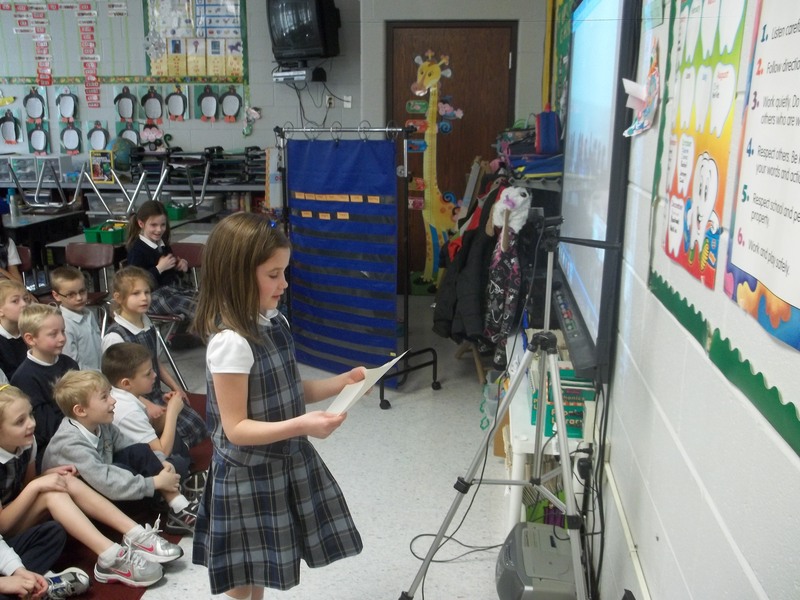 First graders, wherever they are, are first graders! 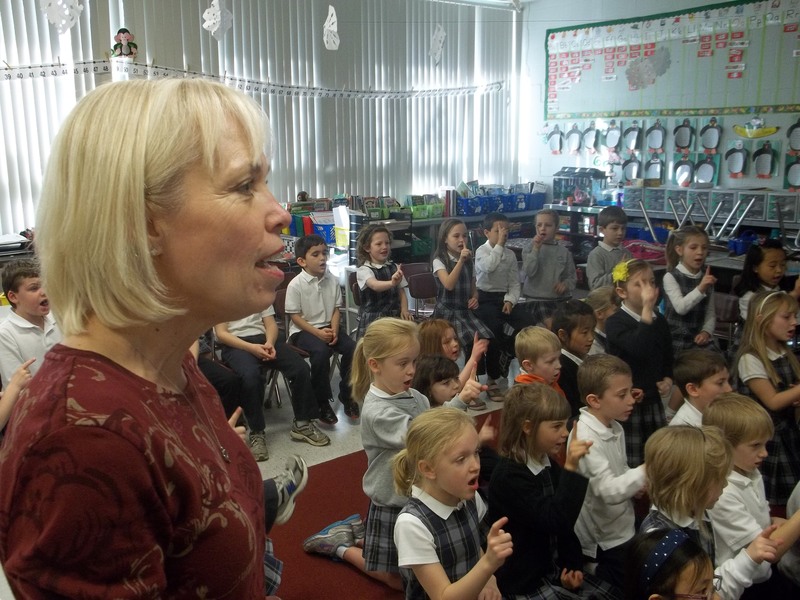 The children sang and made hand gestures that expressed the words of the song. The Arab children clapped with as much enthusiasm and appreciation as our children did. … and waited for answers. 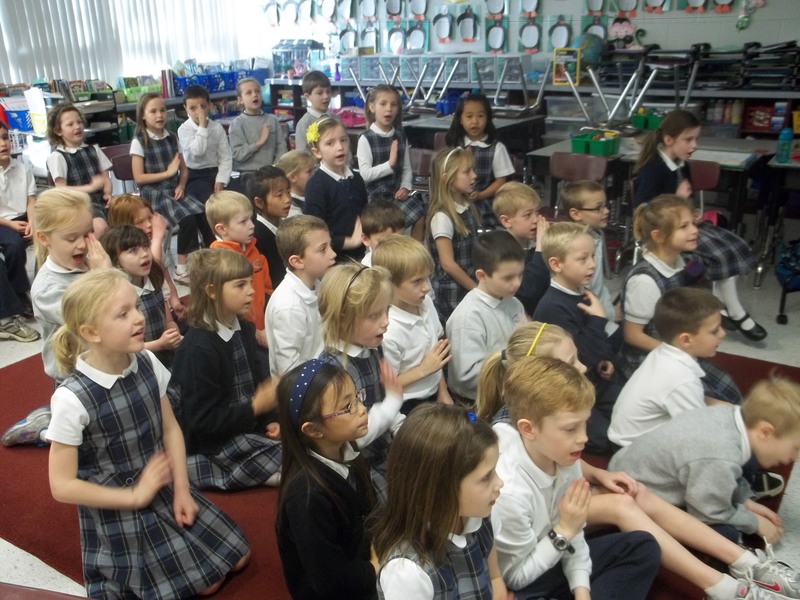 There were questions (and answers) about snow, favorite sports, how old they were. At the end of the visit, Mrs. Phillips spoke with the principal, Miss Abeer, who personally visited Mrs. Phillips classroom back in October. In June, Mrs Phillips goes to Miss Abeer’s school – and the circle of friendship will be complete. 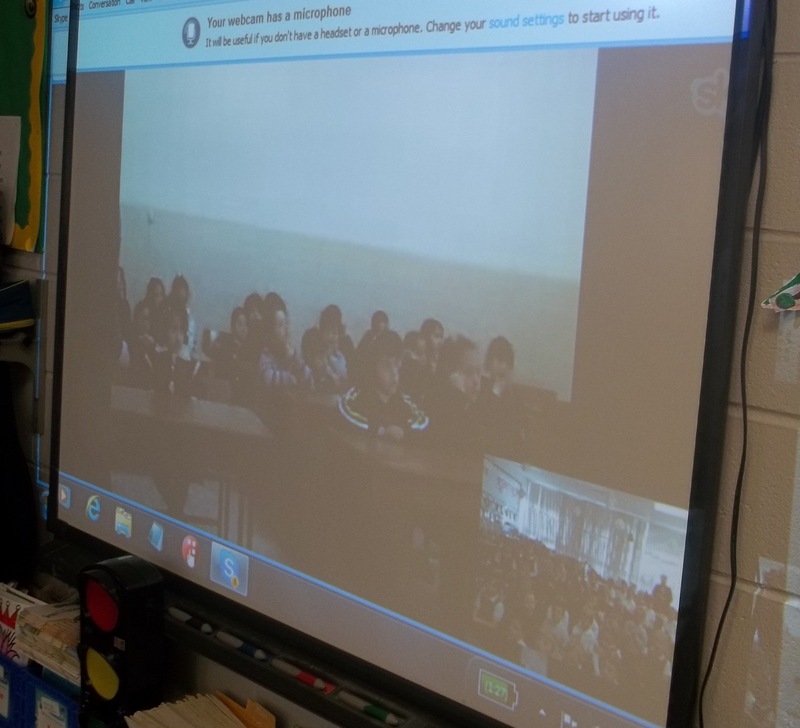 On February 28 students from Saint Joseph School in Nablus, in the West Bank of Palestine, visited by Skype with 6th graders from St. Andrew-St. Elizabeth Ann Seton school in Milford, Ohio. 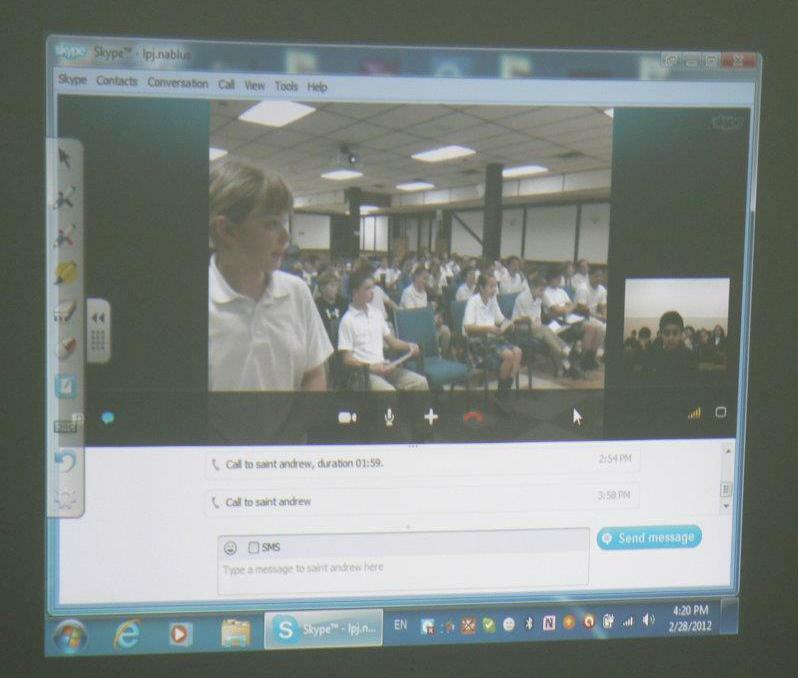 Students from the two Catholic schools were 6,000 miles away, but technology brought them together to see each other’s smiles and to hear each other’s voices. 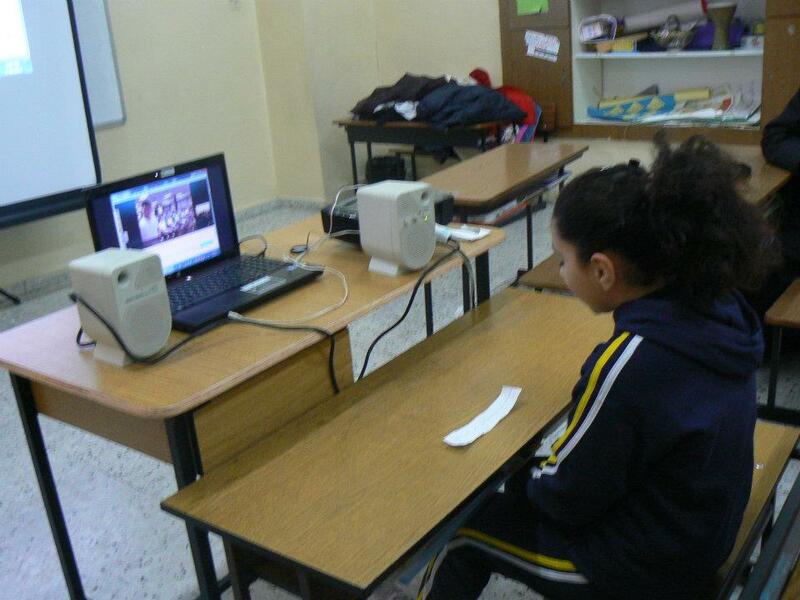 As one of the Palestinian students sat close to the computer, the others in the classroom watched on a large screen. They saw our students sitting in the hall below our church. Note in the bottom right corner of the next photo: in Palestine it was 420 p.m. The students had finished their school day, had gone home to eat the main meal of the day, and returned, yes, returned to school in order to meet our students who were just beginning their school day at 9:20 a.m.
… were Miss Abeer, their Principal, and Miss Ruya, their English teacher. 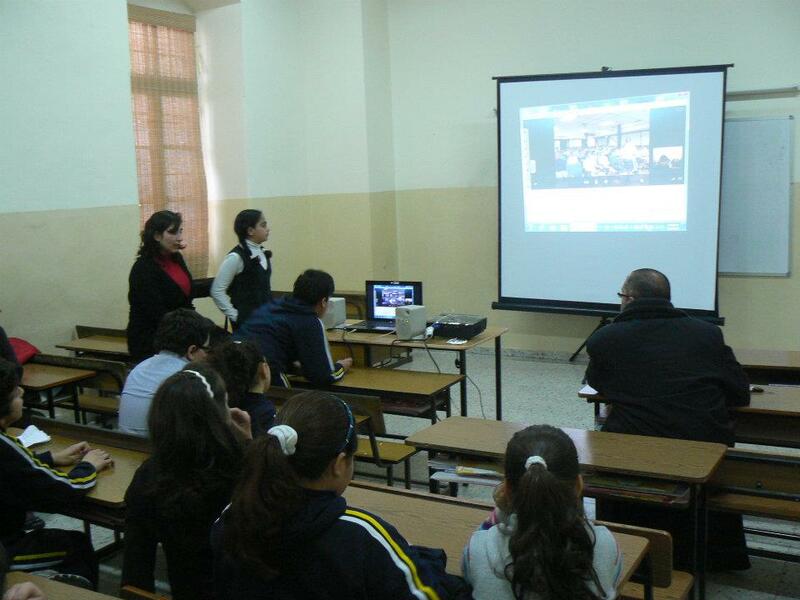 Both Miss Abeer and Miss Ruya had visited our school last October. 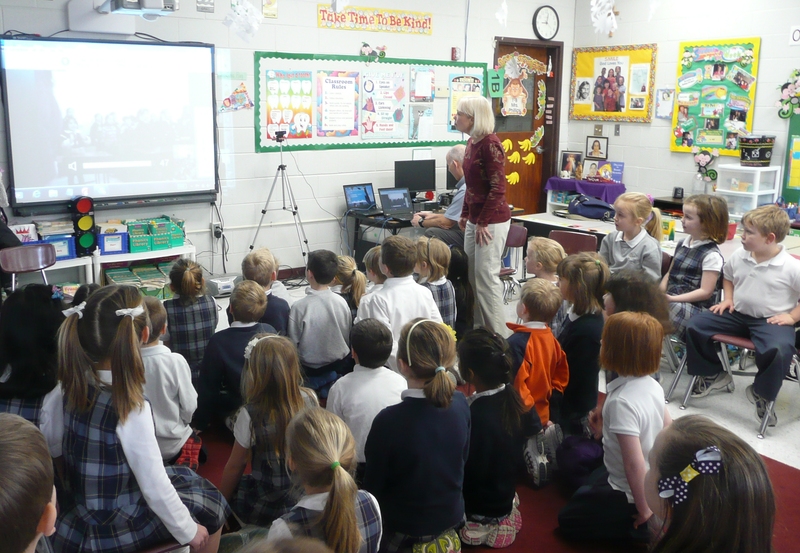 Our 6th grade teacher at St. Andrew, Mrs. Barbara Ambs, worked out the details of the online visit with Miss Ruya. 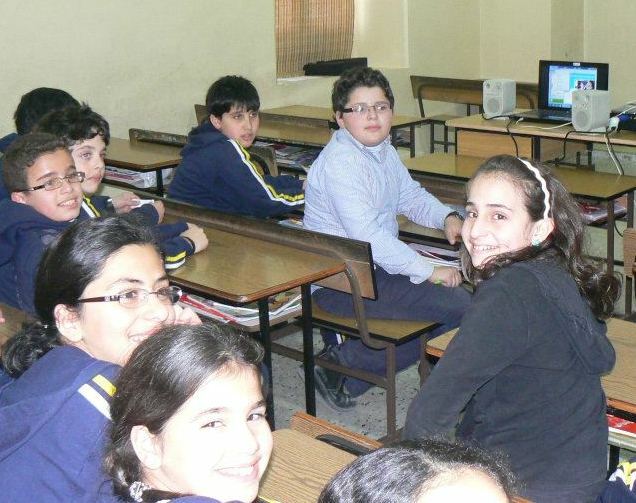 They each prepared their own students, and pulled off this miracle visit, not giving up, even after technological problems forced them to cancel the first two attempts. 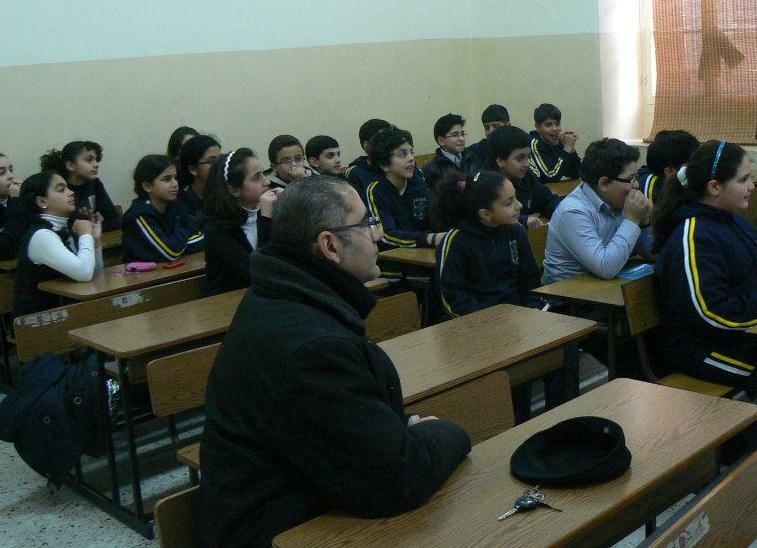 And look who else was in the classroom in Nablus: Father Johnny, the parish priest of St. Joseph. 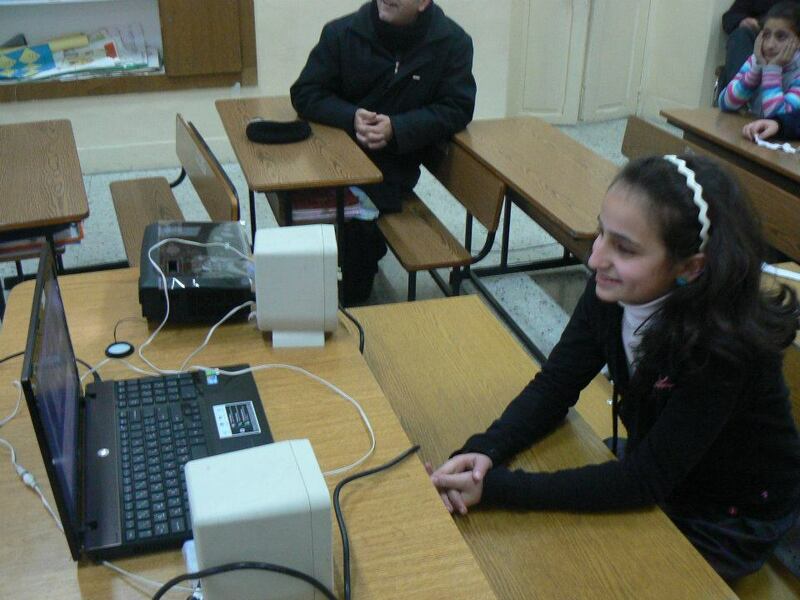 A Palestinian girl asked her question. She spoke in English. 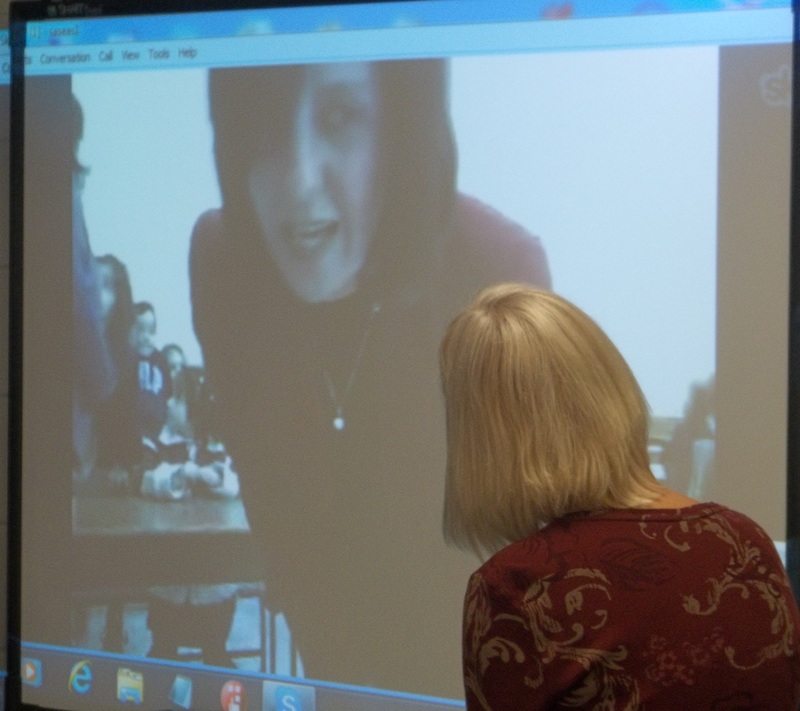 She and her classmates began studying English in the first grade – and French, too. Notice the piece of paper. Isn’t that cute? She had her question ready. Then she smiled, as she got an answer from her new American friend, who also spoke in English, of course. 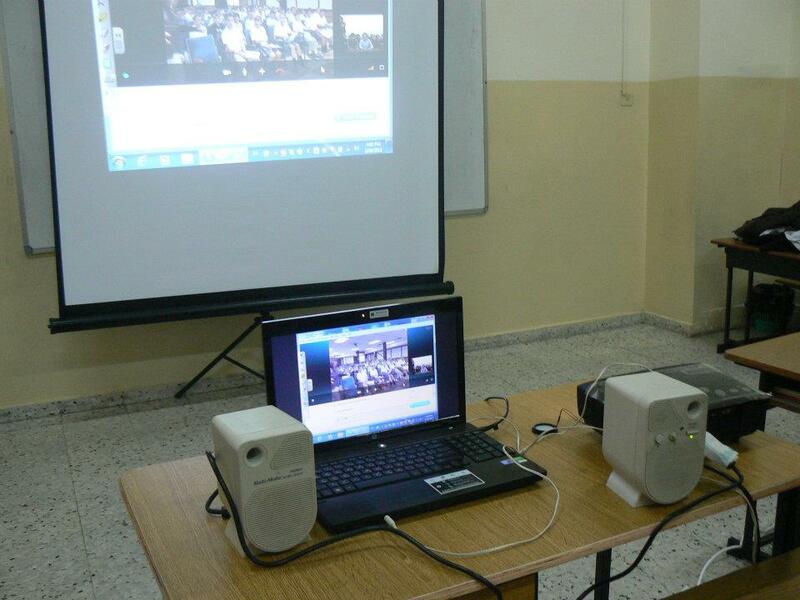 It would have been a very short visit and conversation, if our students needed to speak in Arabic. 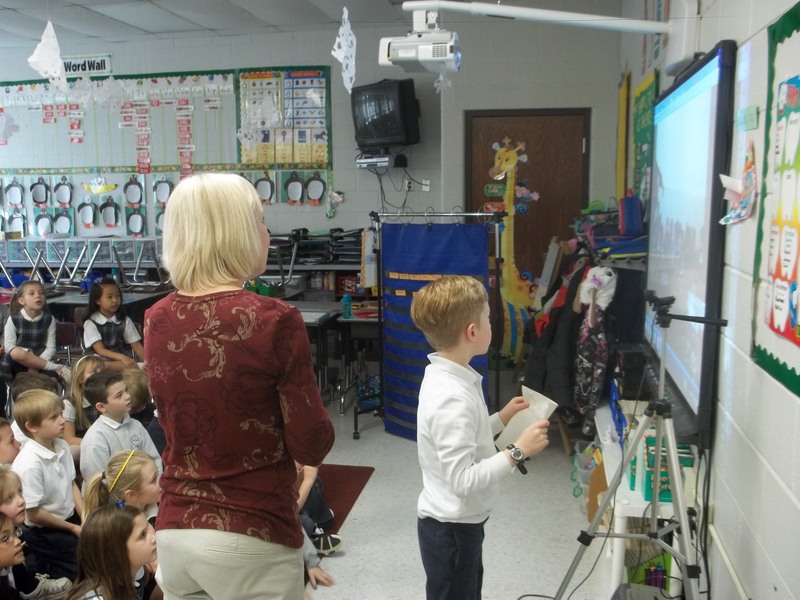 It was fun for all: students, teacher and parish priest – on both sides. This smile says it all. It’s for the children!